Obituary – Taylor, Floyd Wilbur « Perry High School Alumni Association, Inc.
Floyd W. Taylor died at 1:30 pm, Friday, January 4, 1980 at the Perry Nursing Home, where he had been a patient since 1975. 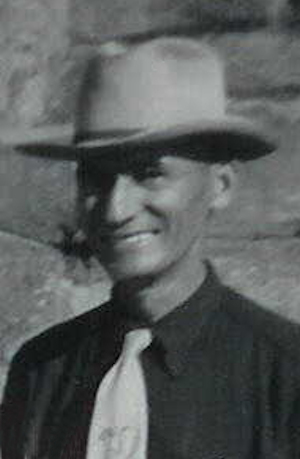 Taylor was born March 20, 1907 in Greenleaf, Kansas, to Linford John and Gertrude Effie (Priest) Taylor. The family came to Noble County in 1911 and settled on a farm five miles west of Perry. 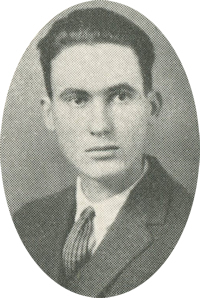 Taylor attended Whipple School District #14 and graduated from Perry High School in 1927. While working part at the Robertson farm he met Zada Boettcher, who was also working there. They were married in Enid September 22, 1929 and had one son, Linford. Taylor farmed the home place from 1928 to 1942. The family moved to 516 Holly St. Perry, in 1942 and Floyd began worked as a painter and at the Coyle Cotton Gin.